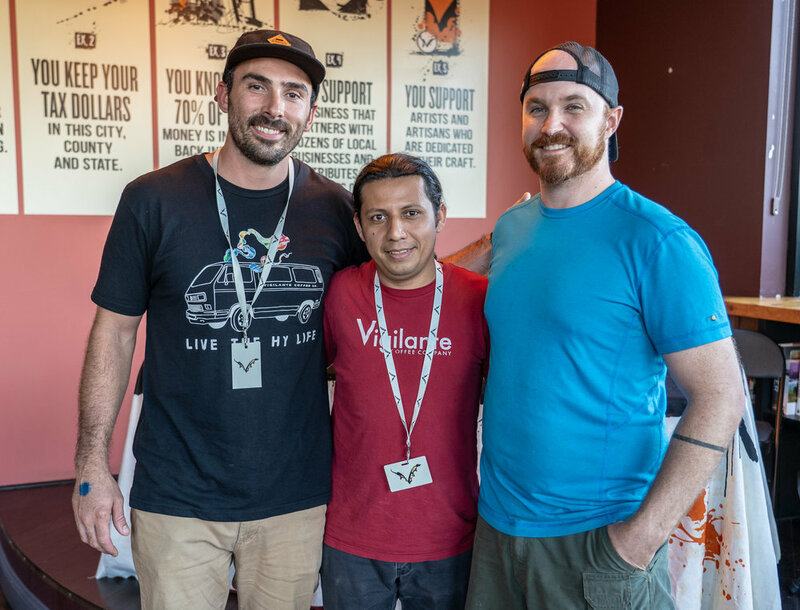 We setup in the tasting room of the Flying Dog Brewery to talk to Chris Vigilante (founder of Vigilante Coffee), Franklin Ventura (head roaster of Vigilante Coffee), and Drew Baluch (lead brewer at Flying Dog). We learned about the changes made to Flying Dog’s Kujo Cold Pressed Coffee Porter this year. Then Chris Vigilante and Franklin told us about their Hyattsville, MD coffee shop and roastery. Today’s podcast is presented by Roasthouse Pub in Frederick.